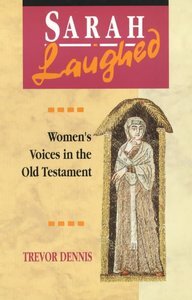 In this book the author takes an original look at some of the best-known narratives in the Bible from the view-point of women. The Revd Canon Dr Trevor Dennis is Vice Dean & Canon Residentiary (Chancellor) of Chester Cathedral. Before that he was Chaplain at Eton College for seven years, and then taught Old Testament Studies at Salisbury and Wells Theological College for nearly 12 years. Trevor is also a regular contributor to BRF. He has published four books on the Old Testament and four collections of stories and meditations.